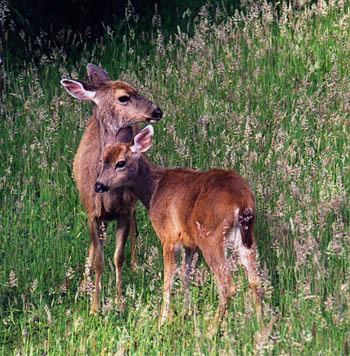 Deer mother and faun are typical of the native deer. Island deer tend to be smaller in size than their mainland counterpart. Photo by Terry Domico.